Mike Pence: We Will Absolutely Accept The Result Of The Election Which Is Being Totally Rigged [VIDEO] - Joe.My.God. GOP presidential nominee Donald Trump, who is trailing in the polls against Democrat Hillary Clinton, has warned supporters that the election could be rigged against him and has called on them to monitor polling places for potential voter fraud. 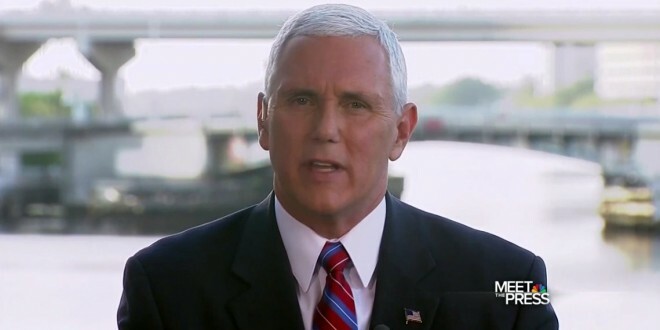 But when pushed by host Chuck Todd on whether he believes the election could be subject to widespread voter fraud or if talking about a rigged election could “undermine our democracy,” Pence instead lambasted media coverage of the campaign, which he said was tilted in favor of Clinton.